The South West is emerging as Sydney's industrial powerhouse, eclipsing the traditionally saturated outer west as the region undergoes transformation amid major infrastructure projects in the area. CBRE Viewpoint highlights the changing landscape of Sydney's industrial market, with the South West emerging as the new growth centre, with 850,000sqm of stock earmarked for development from 2017-2027. CBRE Senior Research Analyst Alexander Tan said shrinking stock levels in South Sydney and the Central West markets was making the South West an increasingly attractive alternative for industrial operators. "The gentrification of industrial estates such as South Sydney and the Central West is an inevitable evolution for major cities, and one in which Sydney is currently experiencing," Mr Tan said. "Improvements of transportation networks such as WestConnex, combined with major developments including the Moorebank Intermodal Terminal, have put the South West in the spotlight. "According to CBRE Research, approximately 210,000sqm of industrial stock in South Sydney could be converted over the next five years. "Taking into account the limited supply pipeline for warehouse stock in South Sydney over the next five years - 200,000sqm of which 127,000sqm is uncommitted - vacancy is expected to tighten further," Mr Tan said. "These withdrawals, followed by the diversification of commercial uses for industrial land, are reflective of a diminishing industrial presence in South Sydney. As industrial vacancy gets tighter in South Sydney, the Central West and South West precincts emerge as clear alternatives, in terms of proximity." Mr Tan said additional stock shortages due to residential conversion activity in the Central West would see the South West rise as the city's next big industrial hub. 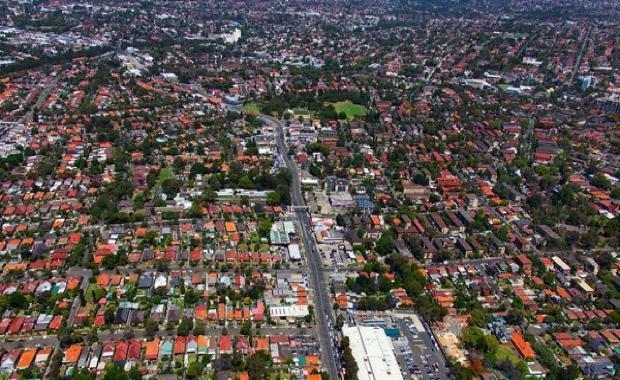 "The South West is positioned to benefit from this migration wave, absorbing tenants tenants relocating from South Sydney and the Central West, while also remaining attractive in its own right," Mr Tan said. CBRE NSW Industrial Director Michael O'Neill said the South West's easy accessibility combined with major developments earmarked for the area would see it become Sydney's industrial centre of the future. "Developers like Stockland are poised to take advantage of growth within the region with DA approved plans for a 28,800m2 facility at Stage 1, 35 Stennett Road Inglehurn, which can be delivered within seven months," Mr O'Neill said. "As the traditional industrial precincts circling the CBD continue to be absorbed by Sydney's booming residential market, the South West will evolve into one of the city's largest industrial markets," he said. Mr O'Neill went on to say that projects such as the WestConnex and Moorebank Intermodal Terminal would be a game changer for the market, significantly improving accessibility to the South West in the same way the M4 and M7 improved access to the Outer West. CBRE’s Thomas Mosca said Moorebank and the surrounding Liverpool areas were set to ride the wave of Sydney’s property boom, with the city centre earmarked for major development. He explained: “Over the next five years, the face of Liverpool will change significantly, with Liverpool City Council proposing to rezone the CBD commercial core to create a mixed use city centre as the area’s residential population grows,” Mr Mosca said. Mr Mosca said as industrial operators looked to acquire a presence at the new Moorebank Intermodal Terminal, the area’s traditional industrial hubs were being eyed up for residential conversion. “As the region becomes a hotspot for activity, now is an opportune time for vendors to be assessing their asset plans for the next five years and reviewing leases,” Mr Mosca said. In evidence of the area’s changing landscape, Mr Mosca said Goodman’s riverfront industrial holdings were tipped for residential development. “The area is on the radar of speculative developers looking to secure large holdings in the area, on the basis of future rezoning,” Mr Mosca explained. To cater for increased demand in Sydney’s South West, CBRE recently opened a satellite office the Goodman M5 Industry Estate in Moorebank. This allows the dedicated CBRE team to readily assist owners in the Moorebank and South West precincts. View the latest CBRE ViewPoint here.